Washington (AFP) - Stacey Abrams, who aimed to become America's first black governor, said Friday she will not win her race to lead the state of Georgia, as she sharply criticized her Republican rival and accused him of voter suppression. "I acknowledge that former secretary of state Brian Kemp will be certified as the victor in the 2018 gubernatorial election," she said 10 days after the midterm election which saw the governor's race come down to the wire. 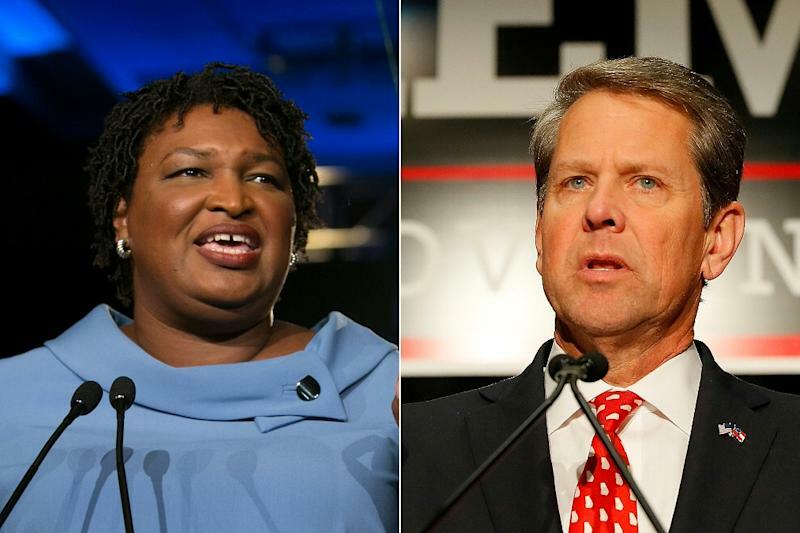 Out of nearly four million ballots cast, Kemp leads Abrams by 55,000 votes, about a single percentage point. The race was too close to call for days, and Abrams had taken legal action to try and get every vote counted. In a speech to supporters she aimed a stinging rebuke at Kemp, saying he had been "deliberate and intentional in his actions" to suppress thousands of votes. "To watch an elected official who claims to represent the people in the state baldly pin his hopes for election on suppression of the people's right to vote has been truly appalling," Abrams said. "As a leader I should be stoic in my outrage and silent in my rebuke. But stoicism is a luxury, and silence is a weapon for those who would quiet the voices of the people," she said. "And I will not concede, because the erosion of our democracy is not right." Georgia's election earned a national spotlight this year when Abrams won an upset in the Democratic primary, becoming the first black woman to be a major party's nominee for governor. Celebrities including TV icon Oprah Winfrey, singer John Legend and actor Will Ferrell lent star power to the Abrams campaign as she nipped at Kemp's heels in the polls. The Democratic National Committee sharply criticized Kemp, saying "there's no question" that he along with Georgia Republicans "launched a years-long unprecedented voter suppression campaign that denied voters of their constitutional rights." Abrams, a 44-year-old Yale-educated lawyer, was a Democrat in the Georgia legislature for some 10 years, serving as minority leader from 2011 to 2017 in the traditionally Republican southern state. She had been contemplating further legal action in the race, but her legal burden would have proven extremely steep. In her speech she cited hours-long lines at polling stations, thousands of voter registrations frozen before the election, and polling sites shuttered. As secretary of state, Kemp oversaw election preparations and operations even though he was a major candidate. He resigned from that post two days after the November 6 election. "The election is over and hardworking Georgians are ready to move forward," he said Friday on Twitter. "We can no longer dwell on the divisive politics of the past." In neighboring Florida, election officials were conducting a hand recount of ballots in a closely-watched US Senate race that is tilting in the Republican candidate's favor. 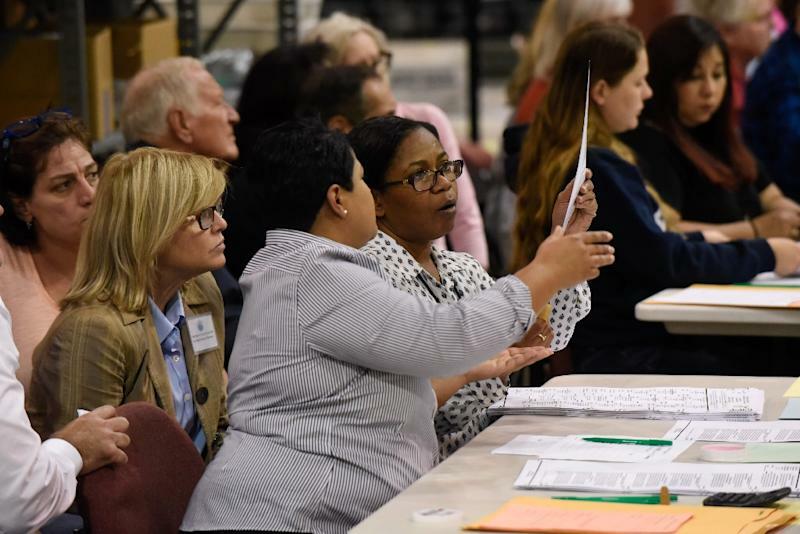 The hand recount faces a Sunday deadline, and races will be certified Tuesday. Unofficial results show incumbent Democratic Senator Bill Nelson trailing Rick Scott, Florida's outgoing governor, by 0.15 percentage points. The governor's race between Republican Ron DeSantis and Democrat Andrew Gillum, seeking to become the state's first-ever black chief executive, has also not been called, but DeSantis is expected to be declared the winner.